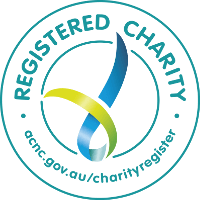 AnglicareSA is proud to announce that our Housing Portfolio, AnglicareSA Housing has recently been registered as a Tier 1 Housing Provider by the National Regulatory System for Community Housing. This reinforces our position as one of the leading providers of Community Housing in South Australia. Ensuring we have the finances to maintain our services to the community for many decades to come. To find out more about what this means to you as a tenant, go to the Tenants Fact Sheet, or if you prefer, go the NRSCH website for even more detail. We plan to use this website as an information source to our current tenants, as well as those interested in using our services, to provide a quick response to enquiries, maintenance requests, complaints and feedback. Stay tuned as we develop more interactive tools over the rest of the year. If you have any questions, issues or comments, please click here for feedback.